Policy wonks were divided into two groups during the early Cold War days: one held that Communist expansion was most dangerous in Asia while the other believed that Europe was the spot most deserving of attention. 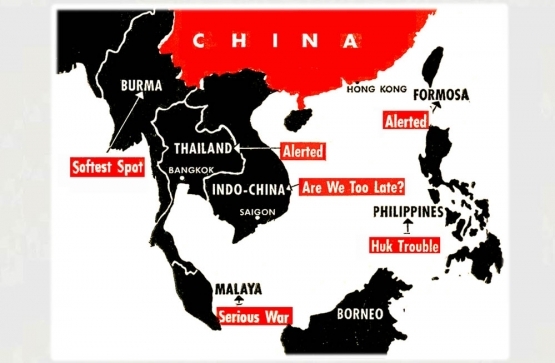 This short editorial by John Gunther (1901 – 1970) argued that Asia was the vulnerable zone and if Korea was lost to the Reds - the whole world would follow. This line of thinking - believing that Communist victories would rapidly follow in quick succession within regions, came to be known as "the Domino Theory".